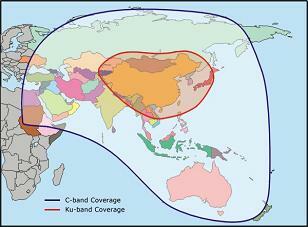 Business grade satellite Internet solutions for Asia, Australia, New Zealand and the Pacific Islands. Check prices with Tony Waters at his web site link below. 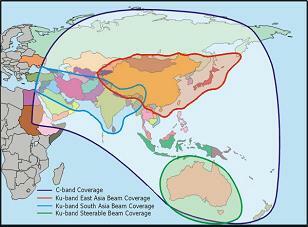 Asiasat 4 satellite at 122 deg east. 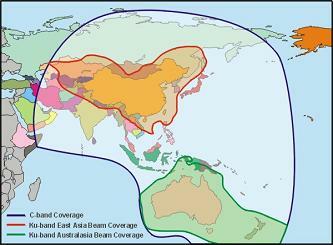 Both the iDirect and LinkStar VSAT hubs are in Hong Kong. SCPC services are available within Australia. NSS6 satellite at 95 deg east. NewSkies NSS5 South West Zone beam covering Australia, Tasmania, New Zealand and the Pacific Islands, this is iDirect service in C band. Asiasat 2 satellite at 100.5 east orbit longitude. Asiasat 3S satellite at 105.5 deg east orbit. ► Page created 27 Feb 2006, amended 6 April 2015, 19 Mar 2019.